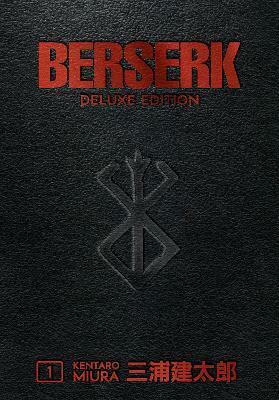 While attending college at Nihon University, in 1988, Kentaro Miura debuted a 48-page manga known as Berserk Prototype, an introduction to the current Berserk fantasy world. It went on to win Miura a prize from the Comi Manga School. In 1989, after receiving a doctorate degree, Kentarou started a project titled King of Wolves based on a script by Buronson, writer of Hokuto no Ken (Fist Of The North Star).In 1990, the first volume Berserk was released with a relatively limited success. Miura again collaborated with Buronson on manga entitled Japan. Miura's fame grew after Berserk began "The Golden Age" story arc and the huge success of this masterpiece made of him one of the most prominent contemporary manga artists.In 1997, Miura supervised the production of 25 anime episodes of Berserk that aired in the same year on NTV. The series has also spawned a whole host of merchandise, both official and fan made, ranging from statues and action figures, to key rings, video games, and a trading card game. In 2002, Kentaro Miura received the second place in the Tezuka Osamu (Astro Boy) Cultural Prize of Excellence for Berserk. The author lives in Tokyo, Japan.